With the new Justice league movie, coming to theaters soon, there is no shortage of media presence for the members of the League. Thanks to Hollywood and TV; Batman, Superman, Flash and Wonder Woman are household names. Soon enough Aquaman, Mera and Cyborg will be also. 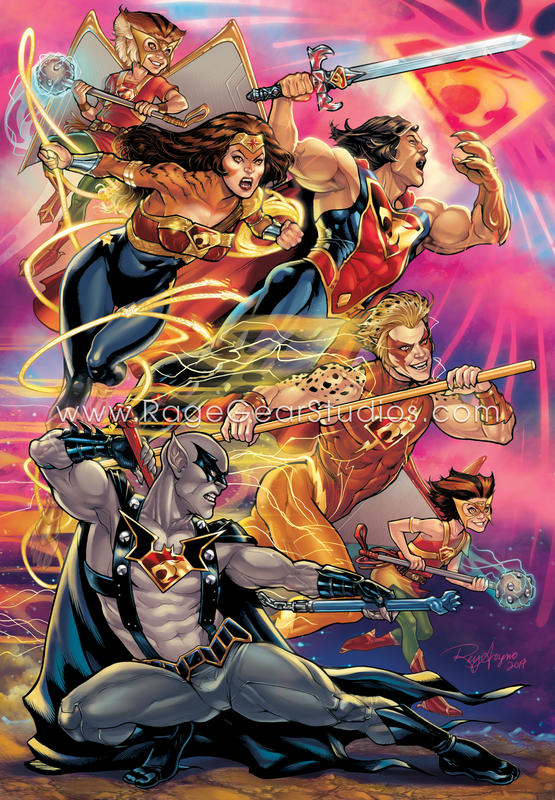 All this *Superhero Team spirit* in the air got us to reminiscing about the awesome squads of our youth. 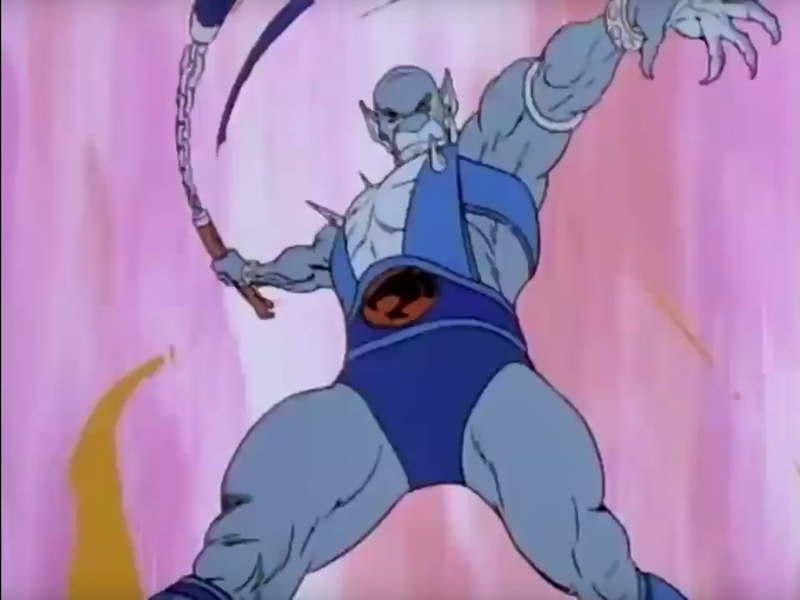 Specifically the Thundercats. 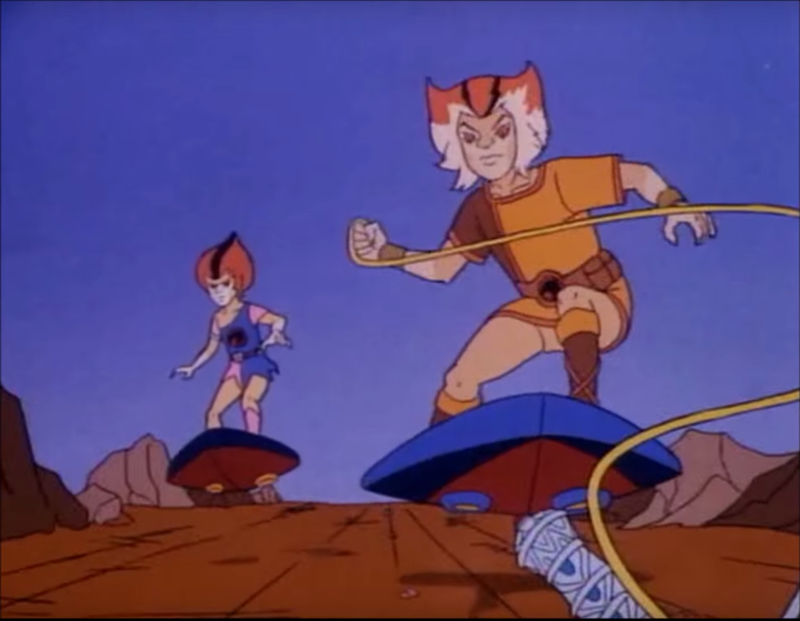 Some of you might not be familiar with these fantastic felines from the 80's, but us "wiser" kids are still fans today. 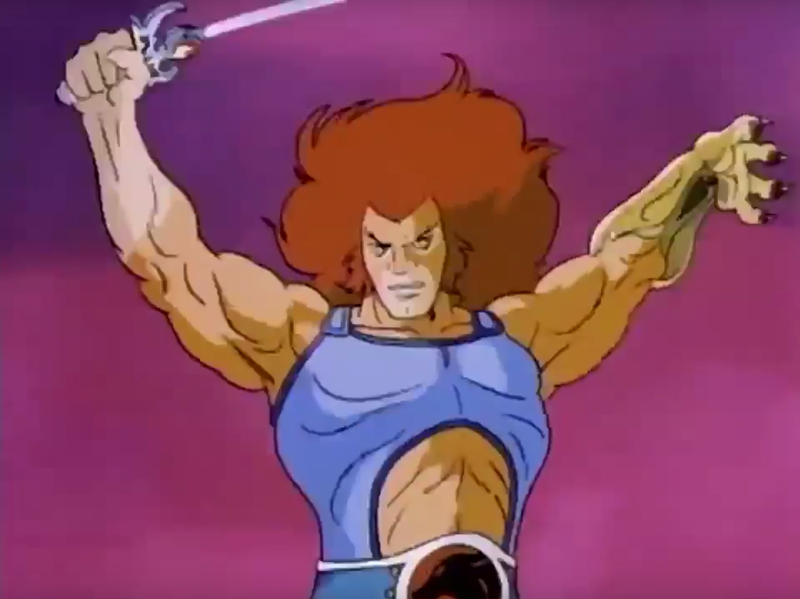 The Thundercats were rebooted in 2011 by cartoon network, and while it was handled very well, it didn't match the popularity of the original series. Paying them a little homage, Rage Gear Style, felt like the thing to do. Time for a new mash-up! Here's a little refresher, in case needed. 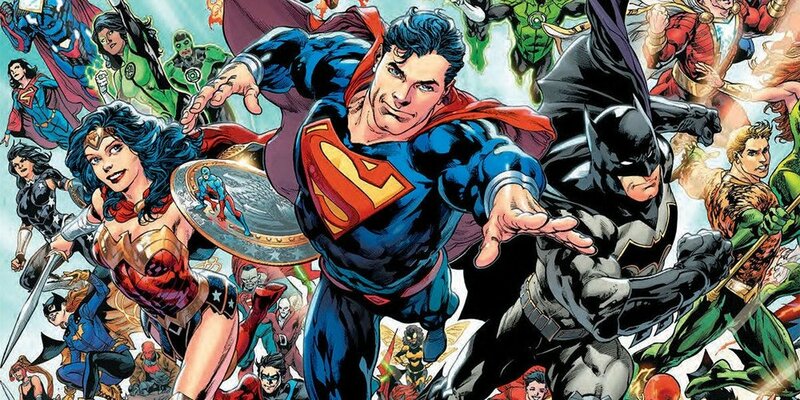 The Justice League has had many more members and need less of an introduction. Here's a logo and team shot. All right all, now that you're caught up on the ingredients, here's the main course! This time last year Rage Gear Studios was in a fantastic color whirl. The interwebs had decided our Xolor Kids were a hit! Worthy of trending along side standard chart toppers, like the infamous Kardashians. We were elated, surprised and besides ourselves, by such a fantastic reception. Their popularity even lead to more kids being added to the roster, via commissioned requests. Folks wanted to see characters who had not made the initial group; which were all based on colors determined by the original Color kids. We had to get creative with the new color shades. Gold and Silver kids, Auric Angel and Mercury Max, were the first additions. Fenix Flame was later included to commemorate Flame Con; the event the Xolor kids were created for in the first place. We sold prints of the finished art and asked patrons to send us photos of themselves with their purchases. Although we received many awesome and heartwarming images, there was one exchange in particular that hit on multiple heart strings. Stephen, an awesome new Dad, let us know that he had framed all the characters and decorated his baby girl, Mia's bedroom with them. We fell in love with this family immediately. Baby Mia had become our muse. We needed to make more kids that reflected her family for her walls. This inspired the creation of Xolor Kids 2.0! The X-Men are a richly diverse group. It was easy to pull from their banks for great personalities that would enhance our "Xolorverse". Bishop, Rictor, Shatterstar, M, Dr. Cecilia Reyes, Dani Moonstar, Oya, Colossus and Frenzy were chosen. Assigning them colors was the hard part, but it's a challenge we really enjoy. Not only were colors, designs and names beginning attributed, but thanks to the new USA regime, the new Xolor Kids will be taking on causes too. They’ll be helping to fundraise for the groups, like the ACLU, who stand up and fight against unjust executive orders and the attacks we now face on our civil rights. The latest kid, Emma Neve, is a very special case. An expecting couple purchased the kids they felt best represented their new family. Mean Mean Tangerine and Fenix Flame for Dad and Mom. Their twin babies were actually to be named, Stormy and Emma. Stormy we had, but Emma was commissioned to complete the set. Sadly, Stormy and Emma were only with us for brief moments. Their devoted parents have chosen to celebrate the girl's love filled lives with artistic remembrances. 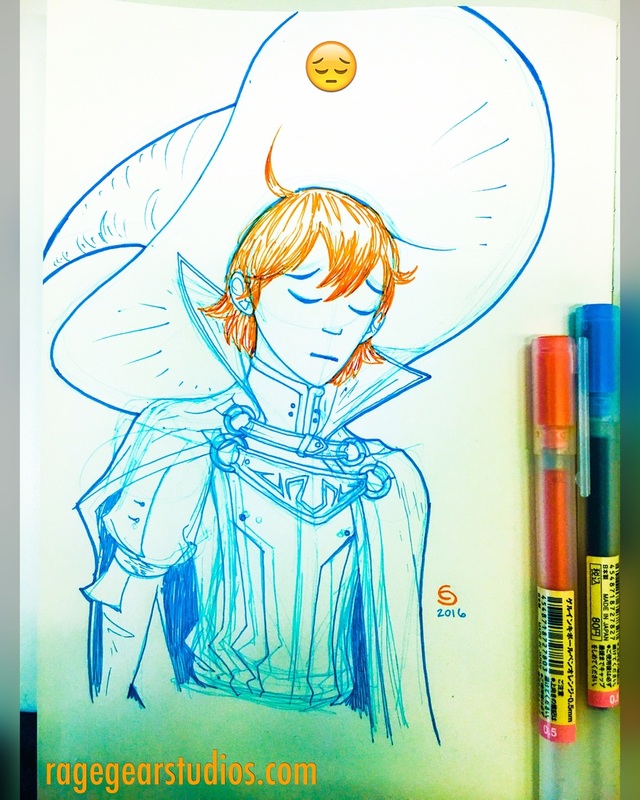 Xolor Kids, Emma Neve and Stormy included among them. Thank you Justin and Christy, for the privilege and honor of being a part of their tribute. Cannot be any more grateful to all of you for making this series so much more meaningful than we could have imagined. Thank you for embracing them and us. There is so much we all battle with on a daily basis. For many of these battles, there are causes we can muster our efforts to back as a sum. No doubt there is strength in numbers. We are also complex beings and one cause can't possibly encompass all we're each affected by. The members of Rage Gear Studios are no different. We are Immigrants, we are Americans, we are Latinos, we are Gay Men and at the root of it all, just Human. As humans there are struggles we face that are beyond our control. Such as Cancer. In one was or another we are ALL affected by this disease that does not discriminate. In November, we rally efforts particularly to garner awareness and support for Testicular Cancer. The Movember movement has become a social phenomenon for men to grow out their facial hair which promotes the awareness of men’s health across the globe. That’s why Barba, the Men's Grooming Boutique, is taking its own step and raising awareness for testicular cancer by grooming men's manes for free after getting screened in-store by a certified Physician. Can't get enough "Jaz and The Hard-Light Projections" Cosplay! @Luasuicide (on Instagram) and friends were awesome enough to bring more life into this concept! She even as far as creating "Kimarie's" keytar! Ultimately they looked FANTASTIC! Here's a group photo taken by JAYCEE Photography! We were so impressed by their hard work, that we has to add a little touch of our own! As soon as I saw Ariana in this outfit...I thought of Jessica. Then I thought, I should just make it Happen! 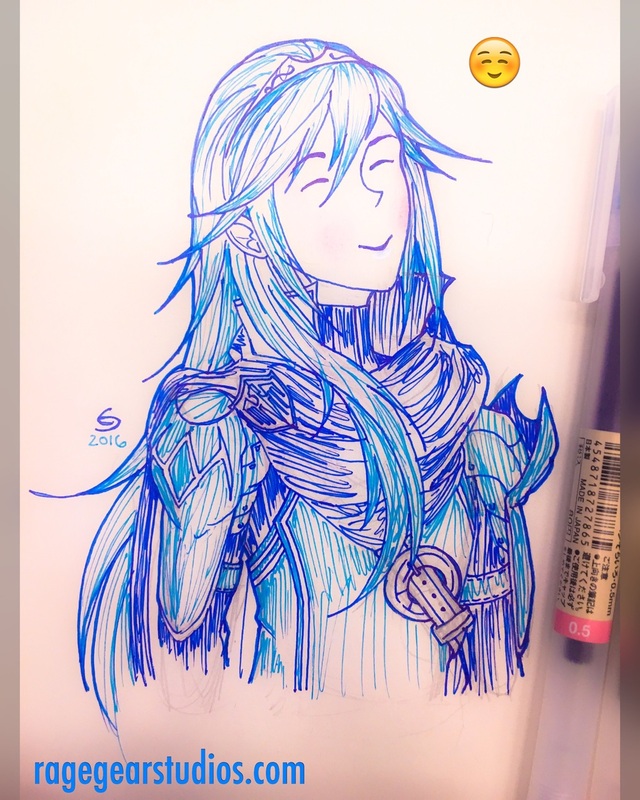 Lucina sending dem happy vibes on this Fire Emblem Friday! Have a great weekend everyone 🙃!